Phoenix city landmarks include the Phoenix Convention Center, Symphony Hall, Chase Field and the Arizona State Legislature. 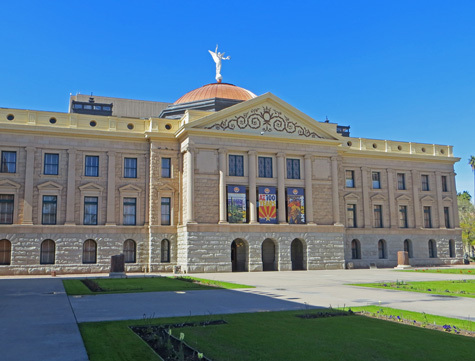 Popular attractions in the Arizona capital include the Desert Botanical Garden, St. Mary's Basilica and many exellent golf courses. Phoenix has two airports and a light rail system that connects the city with Arizona State University (ASU). Many excellent hotels are available in downtown Phoenix, at the airport and at nearby communities including Scottsdale. Maps are available of Phoenix, Scottsdale and other cities in the State of Arizona.